This blog is all about high end audio industry updates and its aim is to provide information on latest audio/video products. One can get updates on latest models of amplifiers, wi-fi range extenders, wireless and mini home theater systems, multi-room audio systems and much more. We are constantly working to get the best output of almost every electronic device, whether it is the T.V, audio speakers, or anything else. The roles are now divided and a particular device is designed to give the best output for the purpose for which it is made. TVs are made to deliver the best video watching experience, that’s why the TV manufacturing companies are putting a lot of concern on increasing the screen size and decreasing the pixel size. There are HD, Ultra HD, 4K, and the highest 8K UHD resolution screens to capture even the minute detail. On the verge of improving the video quality at its best, the audio quality takes a back seat for televisions. The bezel size is getting thinner to make the screens more attractive due to which the speakers are accommodated at the back side of the televisions and that further affects the sound’s volume and quality. But, this doesn’t mean that consumers have to compromise with the sound quality of their favorite TV shows and soundtracks. Because the best quality audio output can be obtained by using a sound device called Soundbar. 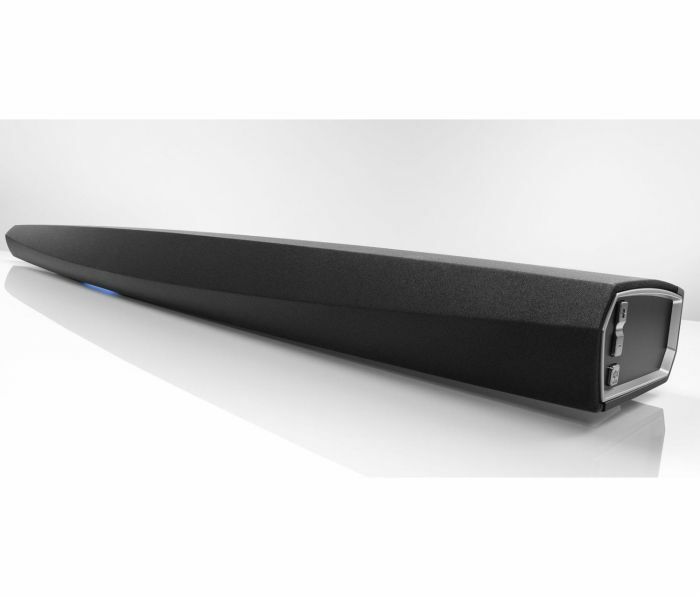 Soundbars are specially designed so that they can be easily mounted either vertically or horizontally alongside a video device such as TV or computer screens. The soundbar is actually a strip of multiple speakers that are placed together to deliver true wide range high fidelity audio. There is an option of both wireless and wired soundbars that are available in the market. 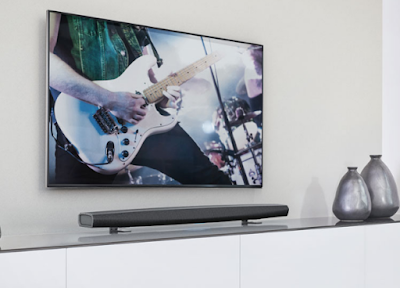 Wireless soundbars can be connected to TVs by using the Bluetooth technology, whereas the wired soundbars can be connected with the help of an audio cable. Almost all big brands are understanding the issue of constantly thinning of TV’s audio, and they are now offering soundbars that can enhance the TV’s audio quality to up to many times with only a simple connection. One of the best soundbars available is the Denon soundbar that is equipped with a number of features such as bi-amplification with 4 channels of class D digital amplification, highest efficiency, and linearity, extended treble response with wide dispersion, advanced DSP processing, night mode setting, dialogue enhancer, USB port etc. Let you experience the virtual surround sound effect in a budget. Soundbars use advanced audio technologies to deliver the best audio quality for soundtracks and dialogues such as Dolby Digital, Dolby Digital Plus, and DTS decoding etc. Soundbars have a built-in receiver and amplifier, so very less number of equipment is required to get the best sound output. Soundbars can be easily mounted on a wall and they also don’t consume much space if being wall mounted or placed on a shelf. So, the only thing required to convert a normal TV watching experience into an ultimate TV watching experience is the Soundbar. It won’t let you compromise with the low-quality thin TV sound. So, even if you have speakers in your TV, a soundbar is a must to make the whole experience more awesome.